When will the 2019 Sydney Whisky Fair take place? Where will the 2019 Sydney Whisky Fair take place? Is the 2018 Sydney Whisky Fair 18+? How many whiskies will be at the 2018 Sydney Whisky Fair? Will bottles be available to purchase? What transport options are there? Do you provide tickets to the media? Are there other events at The Oak Barrel? Where can I buy whisky right now? There will be three sessions for this year’s fair, with the event running across Friday 30 and Saturday 31 August. There will be one session on Friday 30 August running from 5pm – 8pm. On Saturday 30 August there will be two sessions, from 1pm – 4pm and from 5:30pm to 8:30pm. The Whisky Fair is happening at The Oak Barrel, at 152 Elizabeth Street, Sydney CBD. Yes, and RSA regulations will in place throughout. We also have a Fair Play Policy which all attendees will be required to uphold. All the details about tickets can be found here. We estimate that there will be over 100 whiskies for taste. Included in the cost of your ticket is entry into the fair, a bottle of water, a complimentary whisky tasting glass and a voucher to be redeemed at the Fair canteen. All tasting samples are included in your ticket price, with strict RSA practises in place. Yes. Included in the price of your ticket is a voucher for the Fair canteen. There will also be other food items available for purchase. This year, tickets will only be available online. Yes, last year’s sold out in under 48 hours (across two releases). Tickets will not be available on the door. Yes, the vast majority of whiskies on taste will be available to purchase at The Oak Barrel on your way out. There will be special discounted prices during the event as well. Due to the number of whiskies on show at the Sydney Whisky Fair, and considering a number of them are cask strength, we strongly advise taking public transport to and from the event. The Oak Barrel is within walking distance of both Museum and Central stations, with Museum being the closest. There are also bus lines that stop at Elizabeth St and Castlereagh St close to The Oak Barrel. Yes, there is wheelchair access to The Oak Barrel. Due to the strict capacity requirements of the Whisky Fair, there are very few reviewer/photographer passes available to media. However we have no issues in you writing about or taking photos of the event – indeed we encourage it. 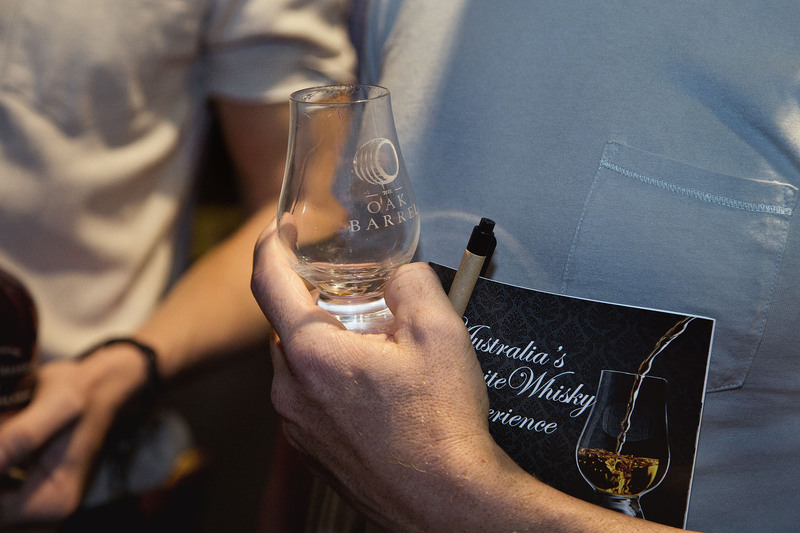 That said, if you are a media outlet interested in covering the Sydney Whisky Fair we are more than happy to talk to you – please email scott@oakbarrel.com.au. Each submission will be evaluated individually. Yes, The Oak Barrel hosts multiple tasting events for whisky, wine and beer each month. For the most up-to-date listings, please visit the Calendar.